Remember when times were simpler? 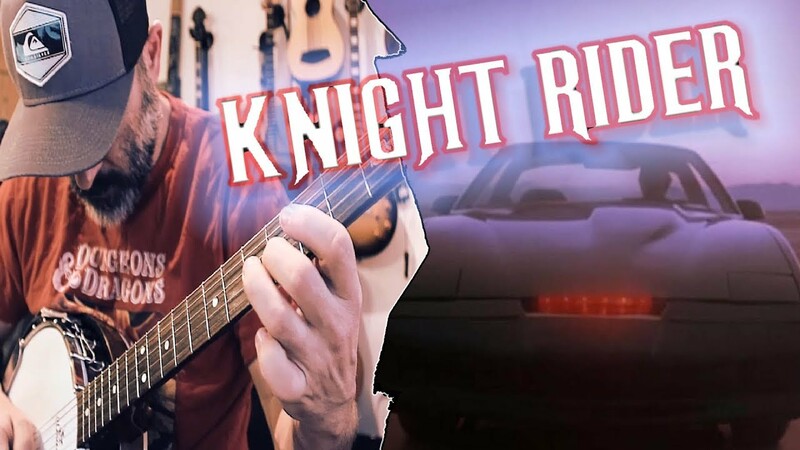 When a pre-Baywatch David Hasselhoff fought crime in a souped-up talking Firebird named KITT? 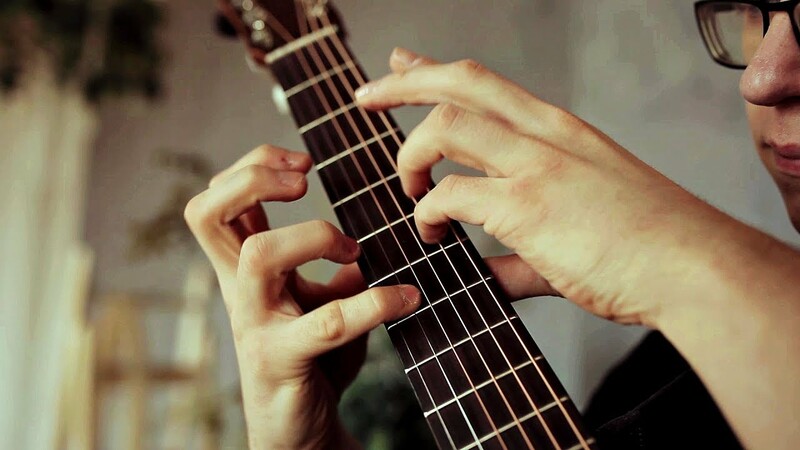 Youtuber Banjo Guy Ollie remembers. Now's he's covering that "high-tech" Knight Rider theme with his banjo (and his accordion and some other instruments). He reports that he'll soon cover other eighties TV themes like Magnum P.I., Airwolf, and The A-Team. 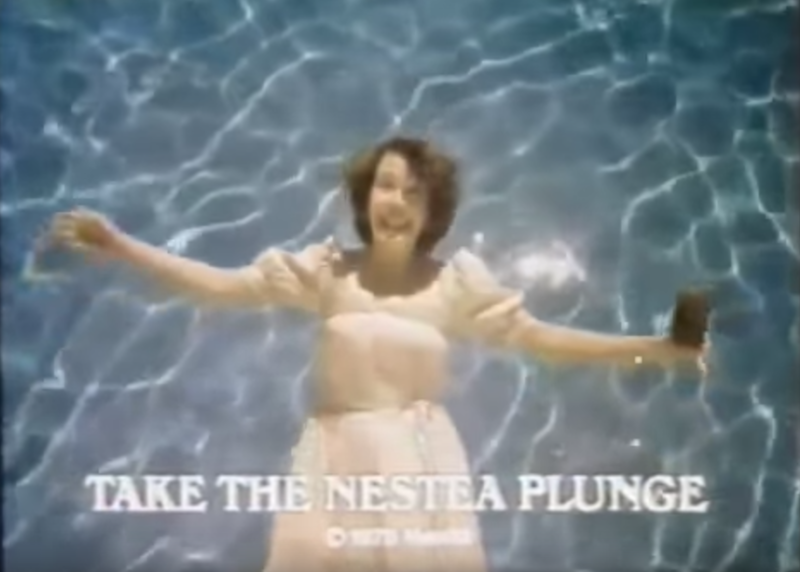 Remember taking the "Nestea Plunge" when it was hot? "101 degrees in the shade..."
It's been hot in the Bay Area and I was joking with a friend that we should take the "Nestea Plunge." 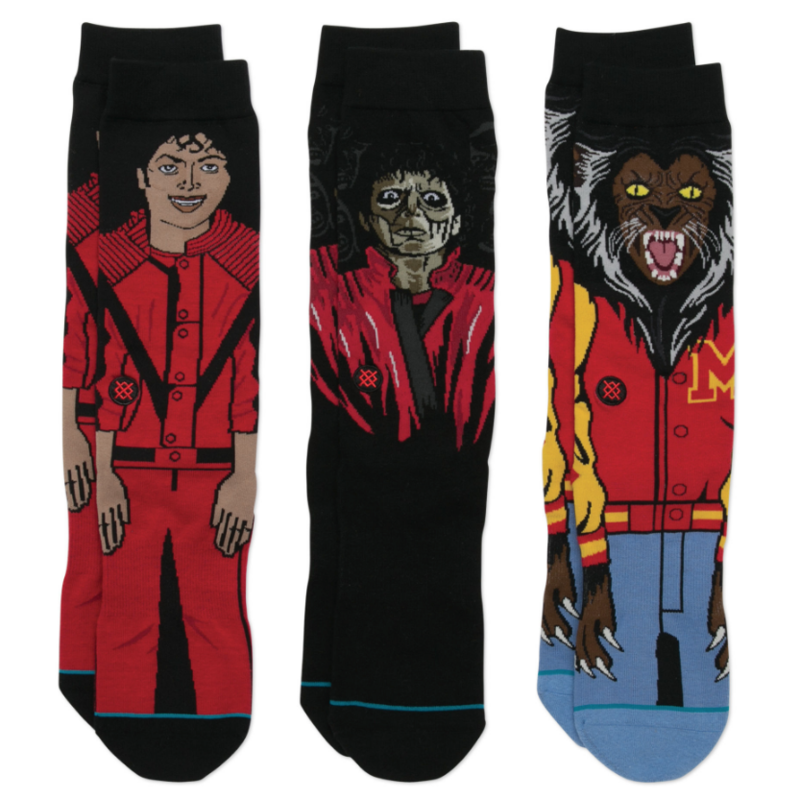 They had no idea what I was talking about which surprised me, given the iconic ad campaign ran from the 1970s through the 1990s (and came back in 2014). I grew up on Cape Cod, so we didn't have a pool, we just went to the beach when it was hot. For hours, my friends and I would put our arms out and fall backwards into the Atlantic, trying to reenact the Plunge we saw on TV. It was like an in-water trust fall with only the waves to catch you. Cripes, you all remember it, don't you? Surely it's just an anomaly that my friend didn't know about it. "Temperature was up around 103..."
"The temperature was up around 111..."
"Come on, taste the taste of wetness..."
There's a Hawaiian shirt of Chunk doing the "Truffle Shuffle"
I came across the strangest Aloha shirt on Instagram the other day, one called the "Hawaiian Shuffle" ($55). 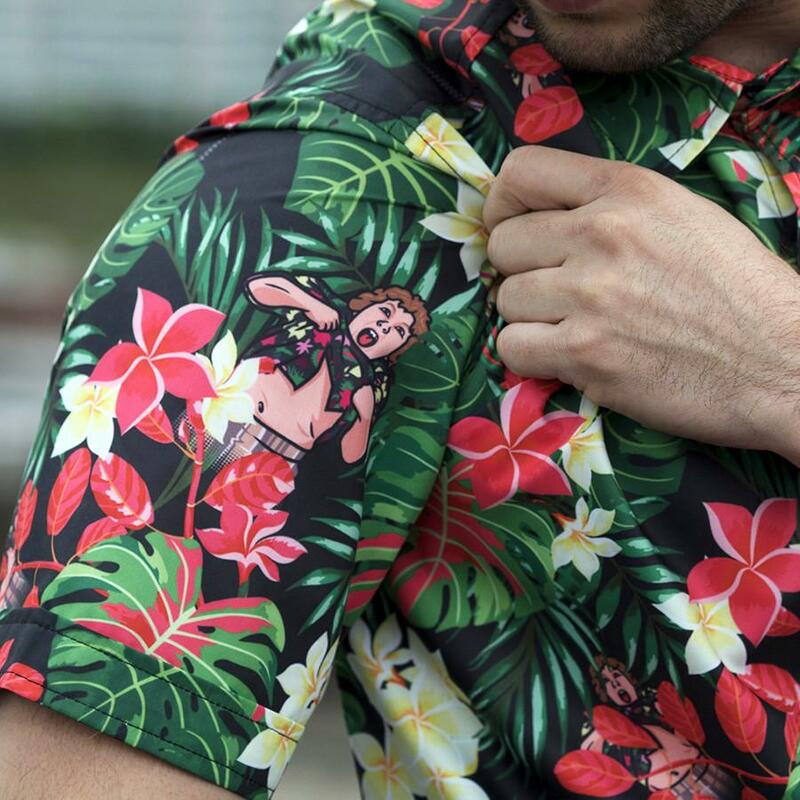 It depicts Chunk of The Goonies, amongst the shirt's tropical foliage, doing his "Truffle Shuffle." Watching the movie as kids, we probably weren’t too aware of how mean the “Truffle Shuffle” was, mainly because Chunk reluctantly performed it for his friends and then went about his business... However, Donner recalls it as a “painful” scene to film and it was ultimately the catalyst for his lasting relationship with Cohen. 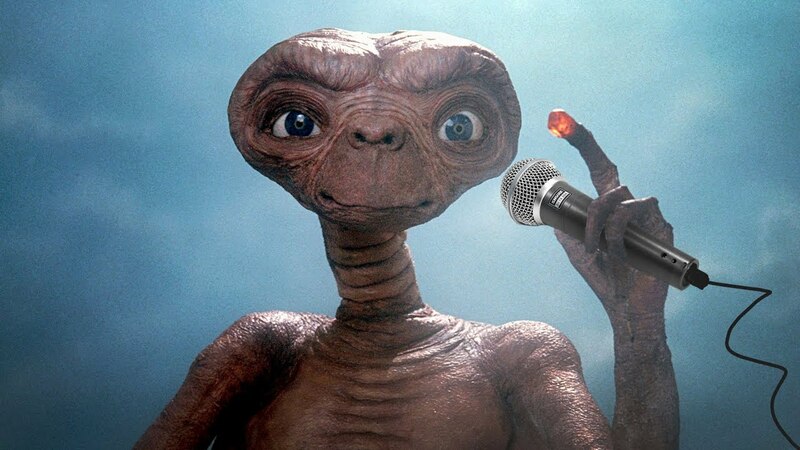 “Jeff became very special as an individual for me when he did the Truffle Shuffle because there was an honest pain in that scene for that little boy in front of those little kids,” Donner said. Activate your willing suspension of disbelief because Squirrel Monkey's back with Wonders of the World Wide Web. 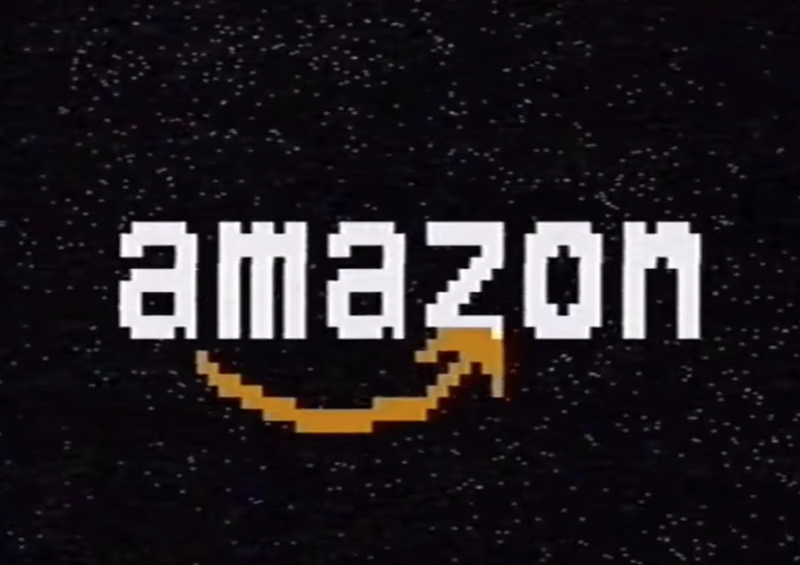 In this episode, they envision Amazon, "the department store of the future," as a virtual department store in the eighties. It's not historically accurate by any means, but that's part of what makes it so fun to watch. David Bowie and his bulge will be viewable on big screens nationwide come April 29, May 1, and May 2. 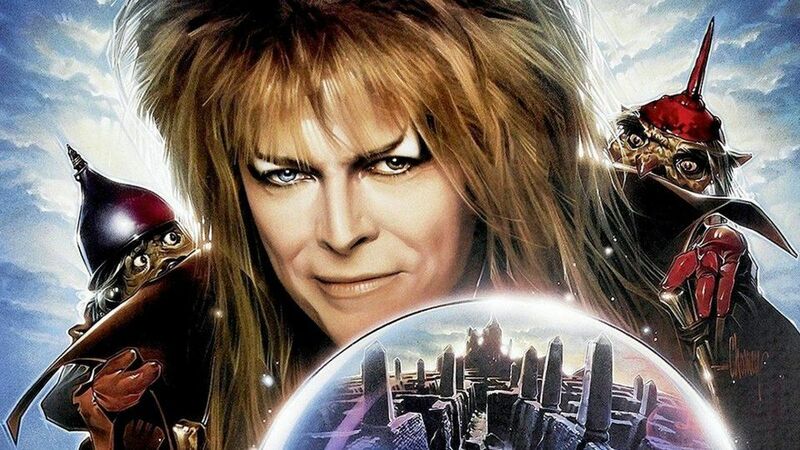 Fathom Events' three-day fan celebration will bring back Jim Henson's 1986 fantasy Labyrinth to select cinemas. Audience members are encouraged to wear costumes. I have fond memories of watching ABC's early-1980s comedy The Greatest American Hero and was only mildly surprised to hear they are bringing it back (as a pilot, for now). 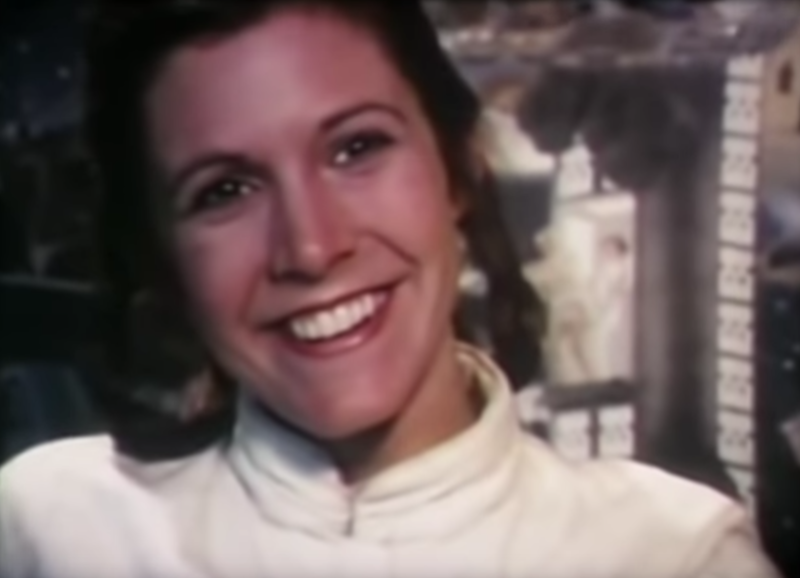 What was surprising is that the "hero" will be a "heroine" in the reboot. ...Hannah Simone has been tapped for the title role in ABC’s single-camera comedy pilot The Greatest American Hero, from the Fresh Off the Boat duo of Rachna Fruchbom and Nahnatchka Khan. 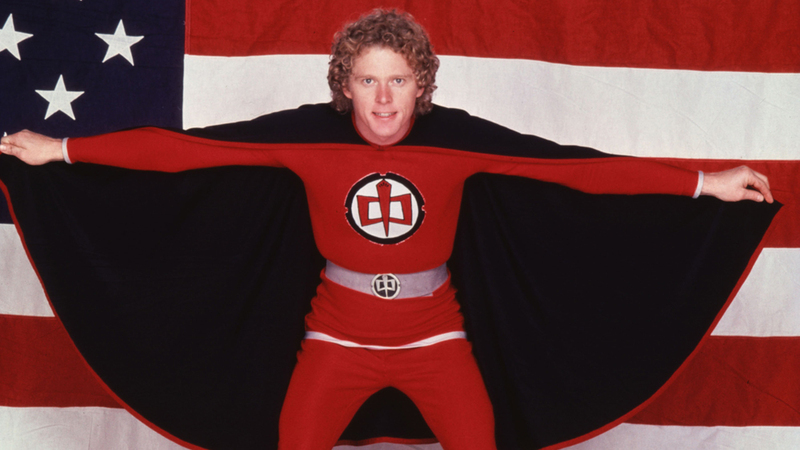 In the reimagining with a gender switch of Steven J. Cannell’s 1981 cult classic, the unlikely (super)hero at the center, played by William Katt in the original, is being reconceived as an Indian-American woman. Written by Fruchbom, The Greatest American Hero centers around Meera (Simone), a 30-year-old woman who loves tequila and karaoke and has spent her life searching and failing to find meaning, much to the chagrin of her traditional Indian-American family. An inexplicable event occurs that will change the course of Meera’s life forever: she is entrusted with a super suit to protect the planet. 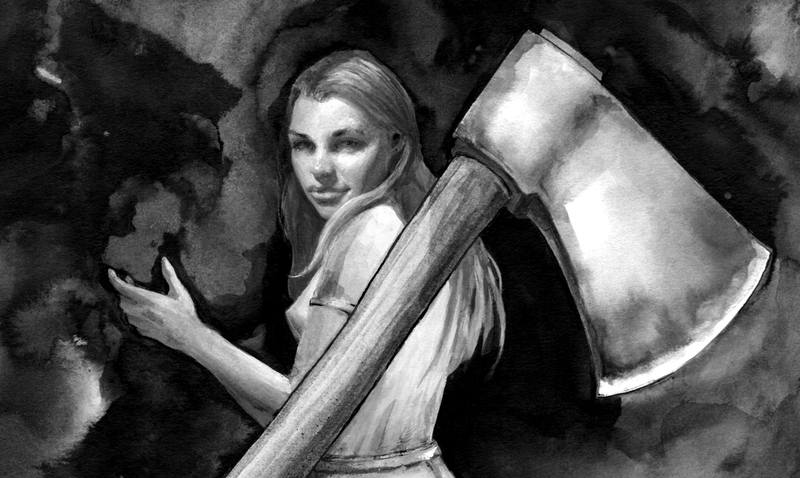 Meera may have finally found purpose, but the world has never been in more unreliable hands. If you're a child of the seventies, you'll probably remember that while the sitcom Happy Days aired from 1974 to 1984, it was set in Milwaukee in the late fifties. 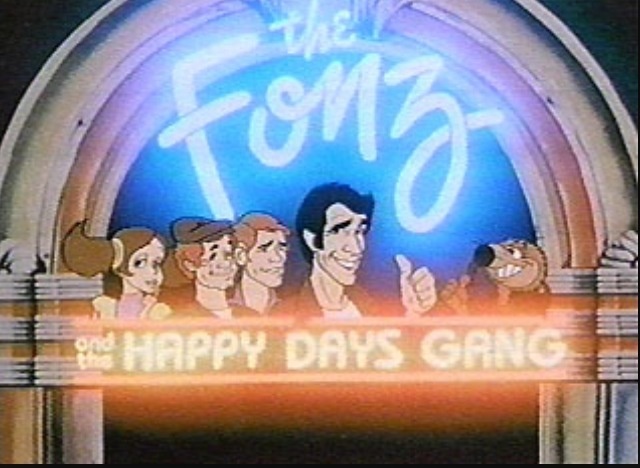 Ok, so in 1980, an animated spin-off series called The Fonz and the Happy Days Gang hit the Saturday morning cartoon circuit, lasting just two years. In those two seasons, they meet a "future chick" named Cupcake and are accidentally hurled through time and space in a janky spaceship with Mr. Cool, a talking dog. This quasi-educational show (which has Wolfman Jack as its narrator) chronicles their journey trying to get back to 1957, but first they jump to significant historical time and places, like the Salem Witch Trials. So, it's a cartoon, made for early-eighties kids, of fifties youth bouncing around in time trying to get back to 1957. Sure... why not?. If you have the time (heh), watch all of Season 1 and Season 2. If you're wondering, this cartoon happened two years after Robin Williams landed a small role as Mork on the live-action Happy Days (which eventually turned into the spin-off, Mork & Mindy) and just three years after the Fonz jumped the shark. Ayyy... Can you dig it? Leave it to Squirrel Monkey (previously) to imagine what Siri might have been like in the eighties. 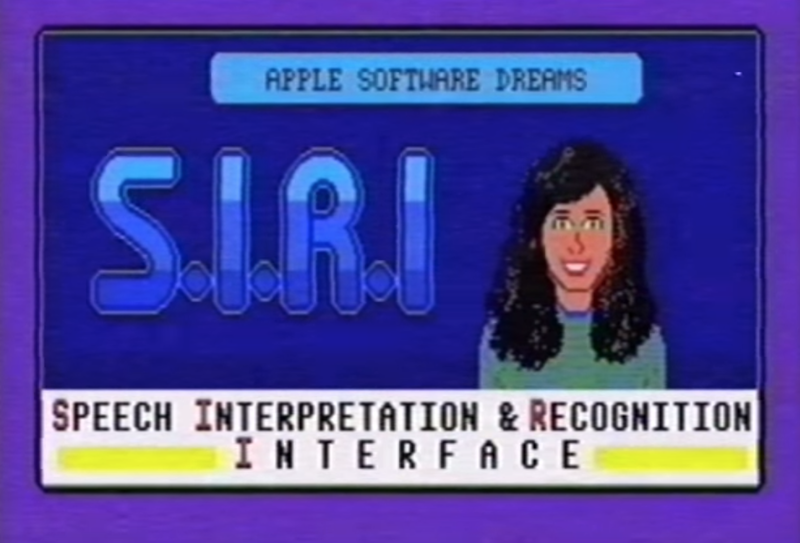 In this spoof called Wonders of the World Wide Web, they give the ancient alter ego of Apple's voice-controlled personal assistant a garbled, synthesized voice which I found particularly funny. 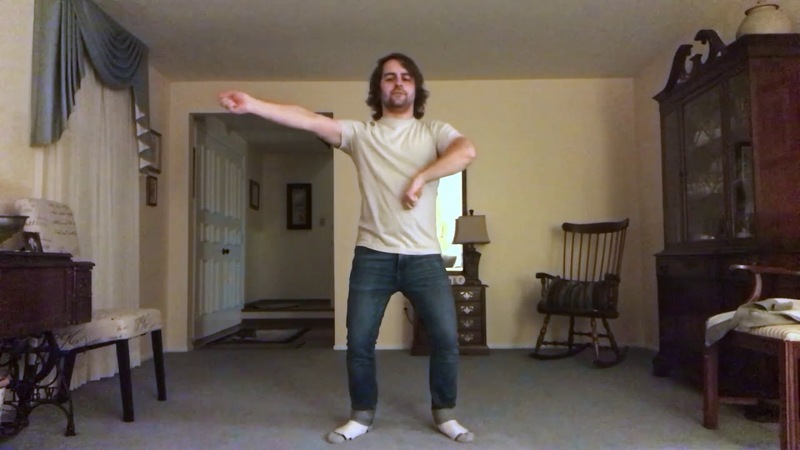 Be sure to watch the whole video, as it just gets weirder as it goes along. Between 1988 and 1990, Tacoma musician John Purkey says Kurt Cobain gave him demo tapes. Now, he's shared those early Nirvana cassettes on YouTube. 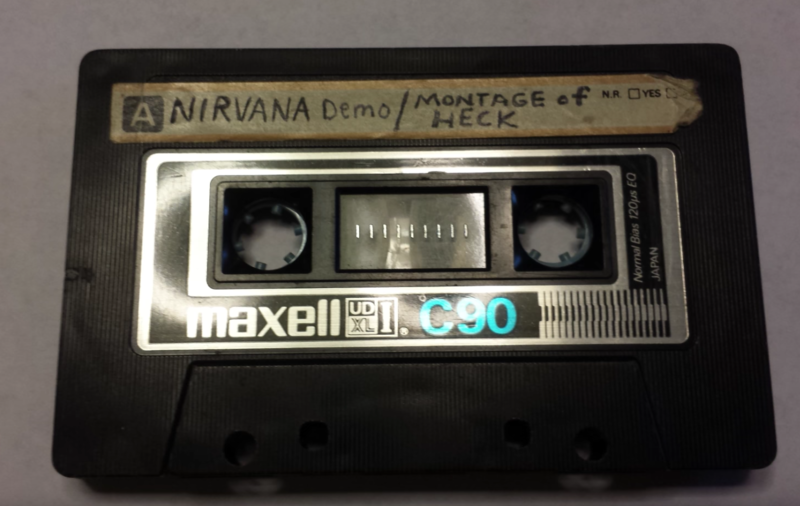 One tape includes Bleach demos recorded during the band’s first ever session in 1988 at Reciprocal Studios in Seattle, with Melvins drummer Dale Crover on the drums. Another features Nevermind demos recorded with Crover’s short-lived replacement Chad Channing, who left the band during the making of the project and was replaced by Dave Grohl. The audio is raw, and many of the demos have seen the light of day via the numerous Nirvana compilations released after Cobain’s death, but the collection and backstory is interesting. Purkey played in several Tacoma bands during Nirvana’s early years and watched the band develop from scratch. He kept the cassettes in a metal box, hidden inside a second metal box, for years, he says in an accompanying video. Starting in 1980, spurred by popularity of the Rubik's Cube, UK-based Tony Fisher started passionately collecting "twisty puzzles." Over the years, he's become quite the collector and inventor. All his "transformations" are really impressive. In fact, in 2016, he became a Guinness World Record holder for "World's Largest Rubik's Cube." 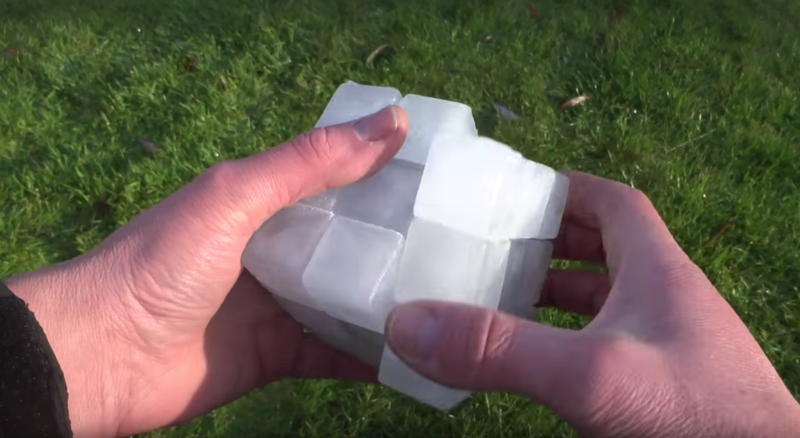 Well, now he has fashioned a fully-functional Rubik's Cube out of ice. This is my Rubik's Cube made from 95% ice and it is fully functional. All 8 corners and 12 edges are solid ice. The 6 centres are 50% ice and the core is plastic. The screws and springs are regular metal ones. The puzzle shown is a first attempt and works surprising well. I am thinking about making others with full ice centres and also fully coloured ones. This video doesn't show how he made it and you'll see that the video footage is reversed in the beginning, making the melting ice seemingly "build" the toy. He does, however, write that he'll be posting the construction video soon. 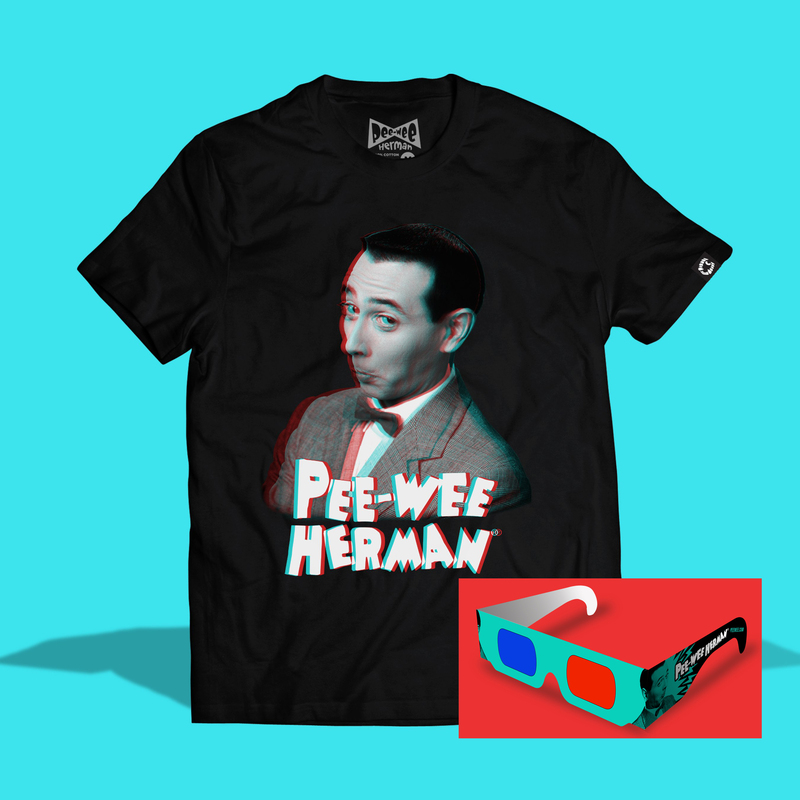 Eighties icon Pee-wee Herman is now featured on this fun t-shirt by Creepy Co. To see the full effect, pop on a pair of paper anaglyph glasses (included).